ADORA is a team of computer science engineers, medical sales specialists, surgeons, medical hardware experts and entrepreneurs, seeking improvements and state of the art solutions. ADORA Assistant™ uses the Myo armband for hands-free control of medical images during surgery. At ADORA, we believe that better healthcare and patient care begin by improving the wellbeing of doctors. The ADORA Assistant™ was built and developed with the goal to help surgeons before, during and after surgery process. During an operating procedure, a surgeon uses medical images and a patient’s data. To do that, the surgeon has to either touch the unsterile equipment or ask for help from assistants. Using gesture-controlled navigation of images, the chance for surgical site infections is greatly reduced along with the the time needed for patient’s anesthesia as well as the total time of the operating procedure. We’ve tested different solutions for gesture based navigation of medical images during the operational procedure. Using ADORA Assistant™ with Myo, a surgeon performs small, yet precise gestures to control the medical images. 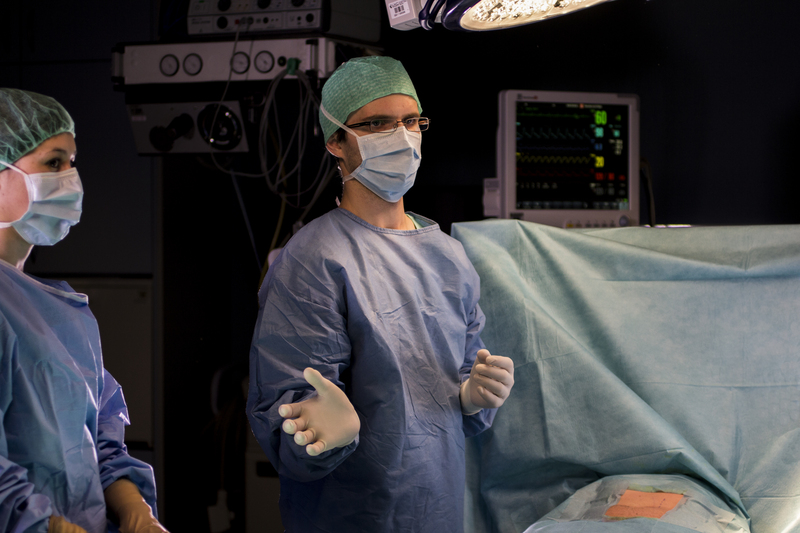 The wireless connection with the Myo armband allows the surgeon to move freely in the operating room, even when they are away from their computer. The communication doesn’t interfere with other devices and people in the room. Myo enables seamless communication between the user and computer and it has enough battery life to perform long-lasting operating procedures. The gestures are easy to learn and after some time the user doesn’t even feel that he or she is wearing the armband. 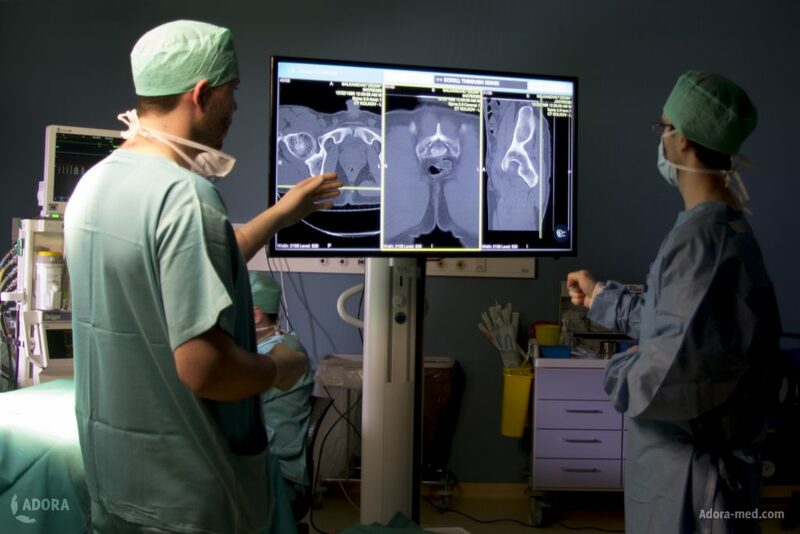 Our team plans to expand ADORA Assistant™ with functions for interventional radiology, minimally invasive surgery and gesture control of specific devices in surgery. Wearables will take an important role not only in general public healthcare, but also in the professional medical field and we look forward to things to come with Myo. Have you tried hands-free operating room equipment before? We’d be happy to tell you more about it. If you’re curious about ADORA, send us an email: sales@adora-med.com and let’s talk! If you want you can read more about how ADORA Solutons Benefit Everyone Involved.